You know the feeling at 2am when you are hungry and weak after a night of heavy drinking and all you want is some comfort goodness that can give you a rush of energy? 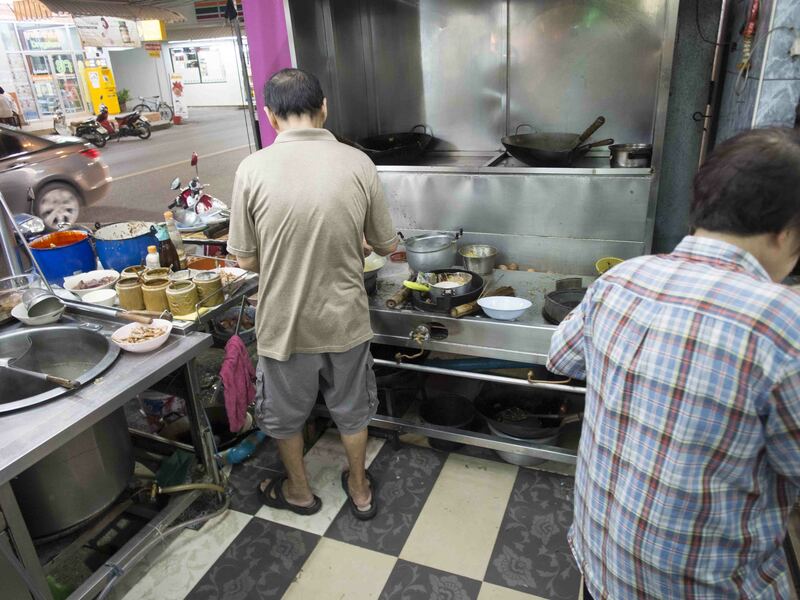 Besides injecting heroin with a syringe into your veins, there is a shop in Hatyai that fires up a plate of Char Kway Tiao with so much Wok Hei that can bring you into rehab. 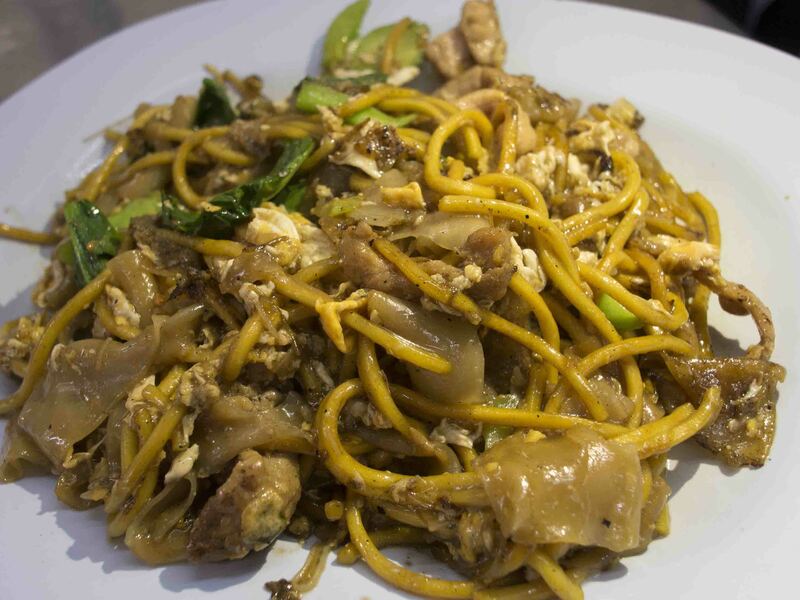 A brave chap from Singapore with a Greek King’s name claimed that this is “the best Char Kway Tiao in the world”. 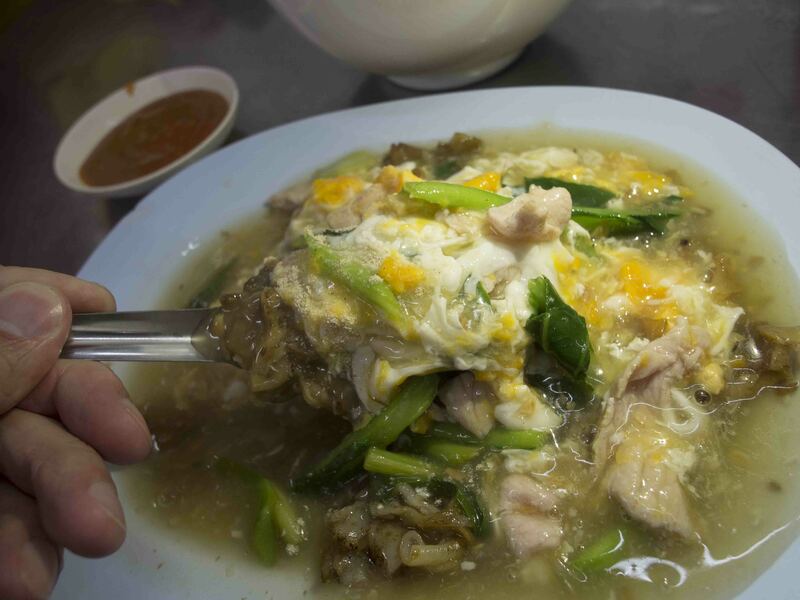 King Ulysses resisted the seduction of the Sirens but he cannot resist the Char Kway Tiao of a sweaty uncle in Hatyai. 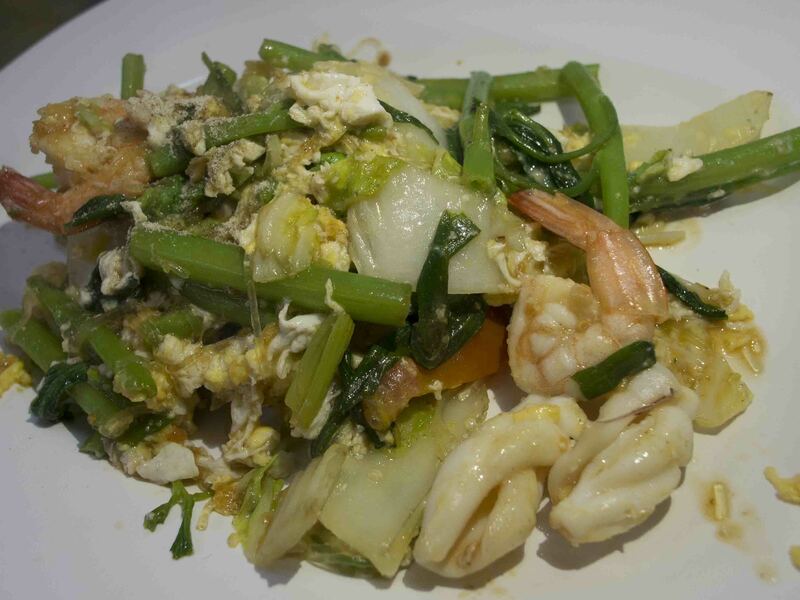 This is their best dish in my opinion if you are looking for Wok Hei. Order “Phat Kway Tiao Mee Heng” which means in Thai that I am a loser who did not managed to pick up anyone in the club just now and I would like a plate of Fried Kway Tiao Mee Dry please so I can eat and go back to my room and cry in the shower later. They have other dishes which are pretty good too. Their “Kway Tiao Raat Naa” is similar to Wah Tan Hor Fan but the portion is just right which means it is not too big and starchy. Some places fry up Hor Fan in too big a portion and this loses some of the flavors that the heat of the flames can bring out. You can eat 2 or 3 plates here easily…especially if you have a belly so obvious that your friends nickname you the Michelin Man. 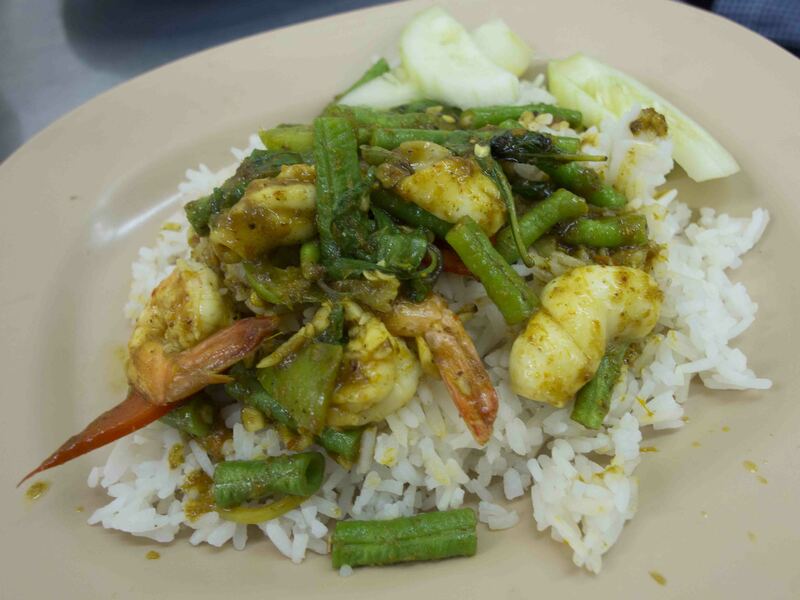 Suki Heng is a plate of Fried Tang Hoon with eggs, prawns, squid and kangkong. 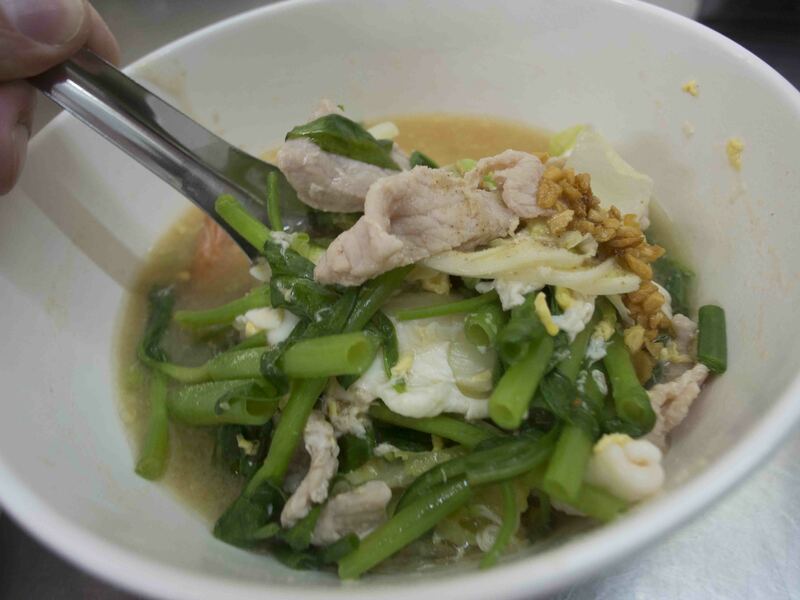 Suki Nam is the soup version of Suki Heng. 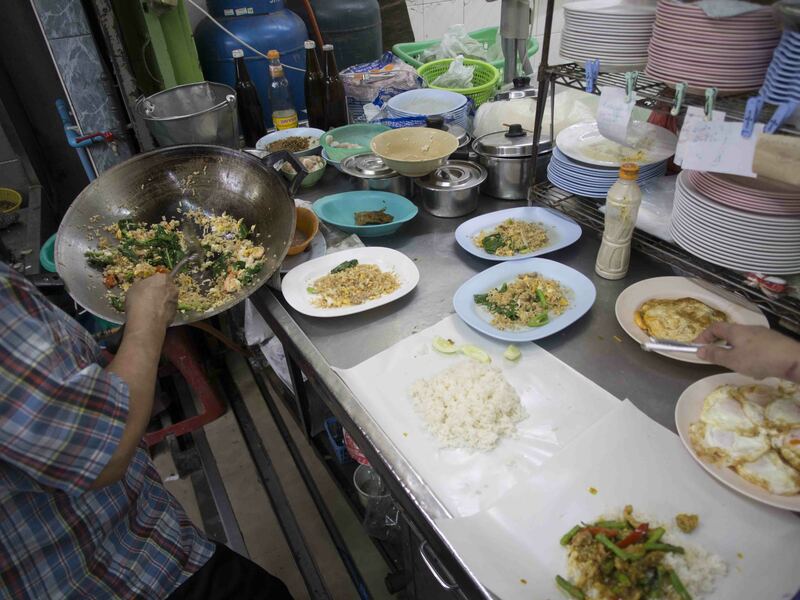 They have other dishes like Fried Rice etc so you can keep going back to try. Closed when they feel like so, maybe 2 to 3 days a month. 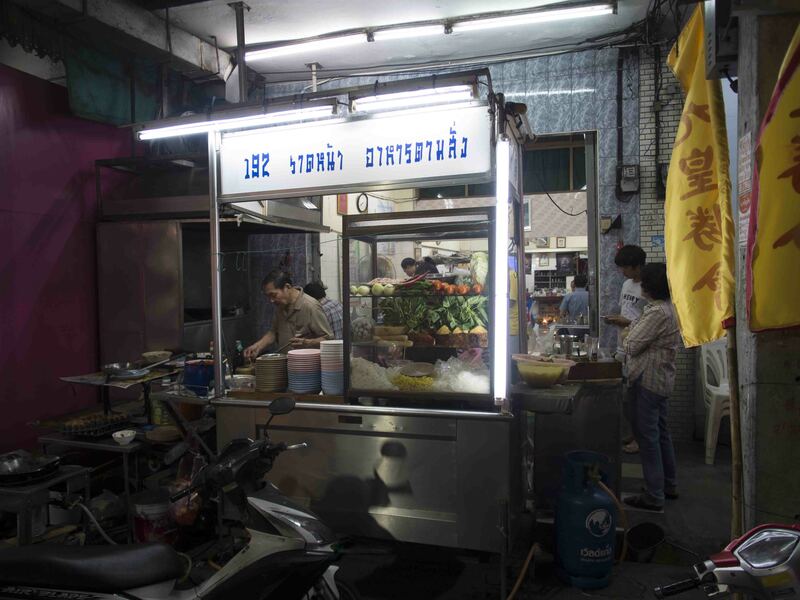 Addresses don’t really work with Hatyai Tuktuks so you are better off walking there or showing the Tuktuk driver a picture of the shop while gesturing wildly.